Len Bunton FRICS FCIArb Hon FRIAS, Past Chairman of the Scottish Building Contracts Committee and of the Chartered Institute of Arbitrators, Scottish Branch. Len qualified in 1972 and after a period in the public sector he became an associate then partner with a professional QS firm. He commenced his own firm in 1979 and from a standing start developed this into a 50 strong practice by the mid 80's where he became senior partner. He developed the firm into project management, cost management, building surveying and dispute resolution. In the early 90's he was approached by a leading UK company, Beard Dove Ltd, who acquired his firm, with Len becoming Operations Director in Scotland. He developed into other areas of this company and eventually was appointed as a main board director in 1995, with operational responsibility for the northern part of the UK. He also set up and was responsible for the company's Contract Advisory Services unit in the UK. 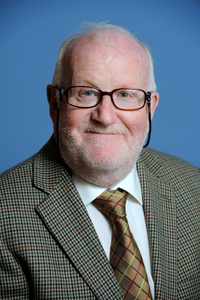 From 1978 to present he has been involved in many dispute resolution issues and has acted as arbiter, adjudicator, expert witness, mediator, conciliator and claims consultant. He has appeared in court on a number of instances as expert witness. He has completed three mediations and has acted as assistant mediator, and is an accredited mediator.